The rabbis teach that a prayer is not an actual prayer, unless it begins with blessing God. Father God, Abba, I praise you this morning from the depths of my soul. I bless your Holy Name; the name that is above every other name. Every fiber of my being this morning shouts out praise and adoration and thanksgiving for who you are and all you’ve done. There is no person, being, or power greater than you. Many and great are your enemies, yet they fail and falter and fall defeated by the mere whisper of your son’s mighty name: Jesus. 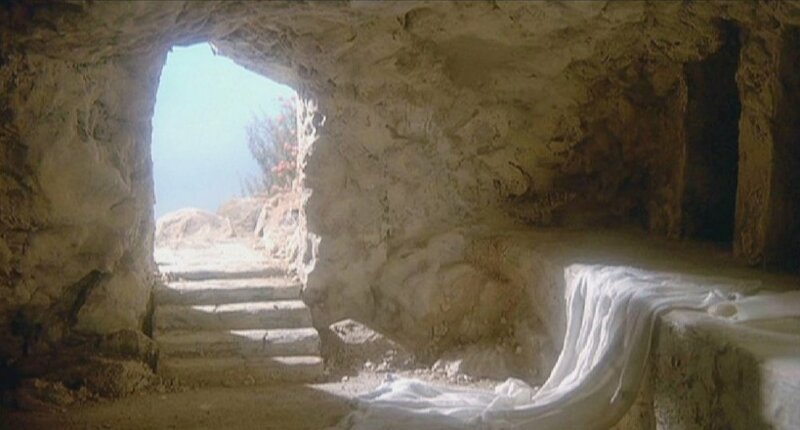 This morning I anticipate the celebration of your resurrection tomorrow morning. Scholars and theologians may debate the physical calendar dates or whether you remained in the grave for 3 actual 24 hour days. But this morning sitting in my humanness, completely aware of what I would be and where I would be headed had it not been for your finished work on the cross and by conquering death and the grave, I have no argument. All I can do is command my soul to bless you and to cry out It is finished! IT-IS-FINISHED! Yesterday we remembered mankind’s darkest hours. Oh what it must have been like to be there on that dreadful day! Oh the anguish you must have felt upon uttering the very words that would seal your fate: “Father, if you are willing, please take this cup of suffering away from me. Yet I want your will to be done, not mine.” What torment your mind and spirit must have gone through at the increasing relevance of being both natural and supernatural. My precious Savior, your heart must have shattered to a million pieces as you watched mankind thirst for your blood in such an animalistic display of hate and violence. Did you for one second regret ever creating us? Like you did in the days of Noah? Did your eyes plead with Judas, for his sake and for yours as you knelt and tenderly washed the grime off of his feet? Did the sword of your own words return to pierce your heart when Peter, one of your three dearest friends denied he knew you? He denied three years of close intimate friendship! He denied the moment upon the mountain where you selected him to be among the three you would reveal yourself to in fullness. He denied your calming of the sea and your feeding of the 5,000. He lied! He lied at your expense. My sweet Jesus, lover of my soul, my most intimate friend, I did this to you. I mocked you and slandered you and betrayed you and denied you. 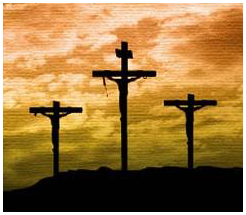 My adulterous, murdering, lying ways sent you to the cross. My pride pounded the nails deep into your wrists and feet. My placement of other gods before you mockingly pushed the crown of thorns into your head. And my betrayal and denial were the sword thrust into your side causing blood and water to flow. You were the perfect lamb, spotless in every way, which was chosen as a final sacrifice for my sin. Your word tells us that in the days following your death you went into the darkest pit and you fought. You fought for me; the very one whose sin condemned you to death. You fought like a champion for the heart of His beloved. You conquered death and the grave and you now hold their keys. You fought and killed my depression. You placed upon my head a crown of beauty. You redeemed my future. Chains of fear and condemnation and hate and anger and lust and jealousy and pride once bound me. But it was for freedom you set me free. Freedom. Freedom! I walk free, and speak free, and live free all for the sake of your glory. My freedom was purchased with your love. That would have been enough. For a man to love me so much that he would literally take my place in death would have been enough for me. But, it wasn’t enough for you. You did the unconceivable when on the third day you rose from the dead. You fulfilled your word, death could not hold you, and you came back. I’ll sing your praise forevermore. I’ll live for the sake of your fame in all the earth. I won’t compromise and I won’t back down. I will command my soul daily to bless you. I’ll dance a crazy dance, for you have displayed extravagant love.